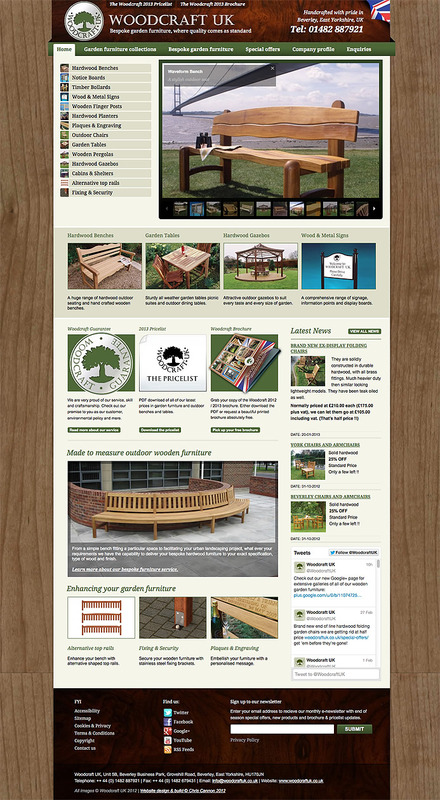 New WordPress based website for Woodcraft UK, now a long standing client of mine of a eight years and counting! The website is backed up with a fully developed package of SEO, Email newsletters and Social Networking. 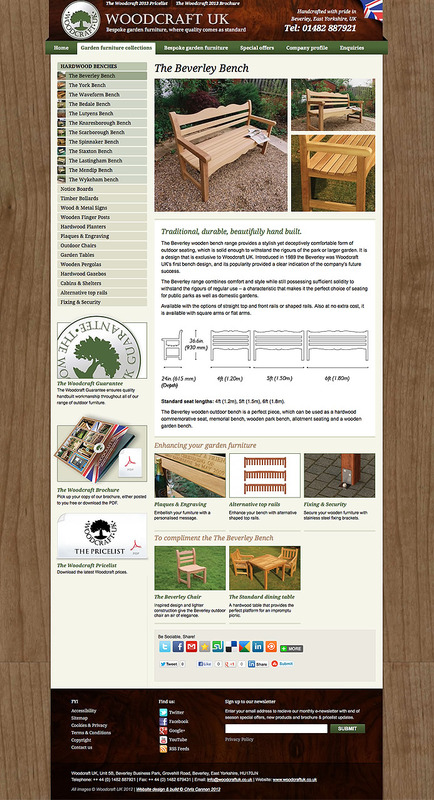 The site showcases Woodcraft’s extensive range of Garden Benches and Outdoor Furniture. This entry was posted in Web development and tagged SEO, Website, Woodcraft, Wordpress. Bookmark the permalink. Follow any comments here with the RSS feed for this post. Post a comment or leave a trackback: Trackback URL.